Ben Slater racked up an impressive ton and was most unfortunate to end up on the losing team. If only his colleagues had stepped up quite as impressively. However, cricket is a team game, and as young Kohler-Cadmore discovered, there is only so much that you can do to steer your team towards a victorious run chase. However, when he too eventually succumbed, it looked like the game was up for the Tykes. Then along comes unlikely young hero Matthew Fisher to bash three fours and a six and pluck triumph out of the jaws of despair. In the end, the visitors scraped home with one ball to spare, after Matt had smote two successive boundaries. For once, the white rose were able to win a close match. They now probably only need to win one of their two remaining group fixtures to progress to the familiar territory of the quarter finals. 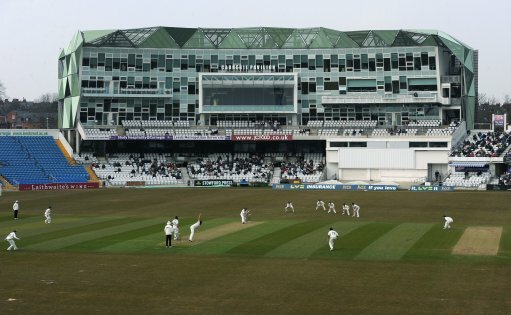 Derbyshire versus YORKSHIRE; One-Day Cup; at Derby; YORKSHIRE chose to bowl. YORKSHIRE win by two wickets.